Yuri on Ice movie footage exists! People have seen it! And it’s apparently amazing. The Yuri on Ice movie footage was shown at a marathon event in Japan that’s running through February 7th, so the rest of us may have to wait. But that doesn’t stop us from screaming about it. I’m not saying I broke down crying on a bus while I was scrolling through the tweets, but I’m not not saying that either. Judging by the capslock yelling on my Twitter timeline, I’m not the only one getting extremely emotional about this. Guys, it’s been two years since the series ended. We’ve hardly heard anything since then. Let us cry it out! 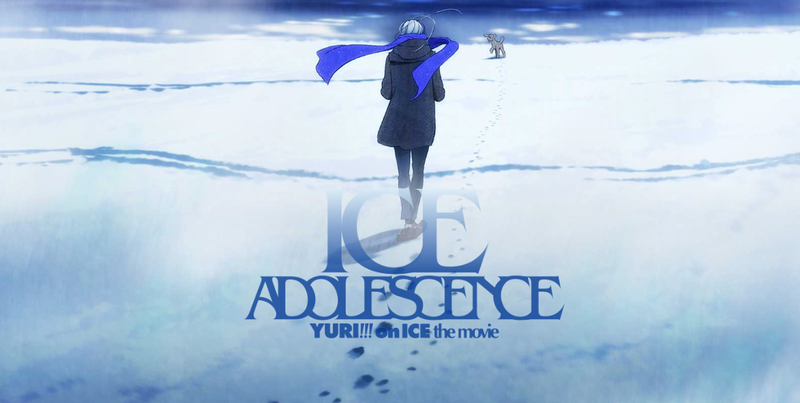 Last July we learned that the movie would be called Ice Adolescence, but beyond that and the accompanying poster we honestly haven’t been told too much. We knew it has young Victor in it and that’s it. The footage released at the event seem to set up a better picture of what the film will be about. THE OLYMPICS IS IN FRANCE!!! But beyond those solid details, there’s some speculation about what could be included in the film that didn’t make it into the 30 seconds of Yuri on Ice movie footage that got shown. My thought is, because Mizuno just tweeted something about “can’t wait to see this collaboration on the big screen”… that Victor will be telling Yuri about his Oly experiences as Yuri prepares for his own Olympics. This is my speculation only but it would make sense. Sadly, since this event is lasting for a couple weeks, there’s speculation that the Yuri on Ice movie footage won’t get released to the wild until after that’s complete. Of course there’s always a possibility of leaks, but I wouldn’t count on that nor encourage it. Let MAPPA do what it wants to do as far as promotion goes. While this marathon event in Japan is beyond my means, I’ll be over on Twitter screaming in caps lock and forgetting how to spell. Previous:“Power Rangers: Battle for the Grid” Cross-Platform Combat Game Releasing This April! Pre-Orders Available! Next: First Trailer For “John Wick 3: Parabellum” Released! Stylish Assassins, Dogs & More! Where is this magical footage? I am dying to see it! Same. I hope it gets released to the rest of us soon.